Videocon Telecommunications today withdrawn its bid for the 800 Mhz band – CDMA Spectrum in the upcoming 2G Spectrum Auction of India. 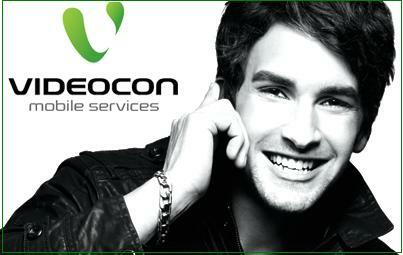 On October 29 Videocon has announced as a pre-qualifier in bidding process by Department of Telecommunications (DoT). The last date for withdrawing applications is 5 November. Videocon which has also applied for GSM spectrum, had got the 2G licenses for 21 telecom circles in 2008 which has been cancelled by the supreme Court in 2G Verdict in February 2012. The operator’s GSM services are already up and running in selected circles like Tamilnadu, Mumbai & Maharastra, Gujarat, Haryana, Punjab and Kerala. While 18 circles out of 22 are listed on Videocon’s website to show their minimal presence to meet roll out oligations. As per applications submitted for the auctions, the now only interested telcos in 800 mhz is Tata Teleservices (TTL) which wants to get back the three circles it lost last time after the Supreme Court cancelled 122 licenses earlier this year. Reliance Communications (Rcom) and Sistema Shyam (MTS India) have stayed away from the auctions entirely. Tata Teleservices and Videocon have already deposited over Rs. 22.5 crore and Rs. 220 crore, respectively.Now Videocon withdrawn its bid for the CDMA spectrum so now Tata Teleservice surely get 800 mhz spectrum at the base price itself. The 2G spectrum auction is to take place on November 12 and the final list of bidders will be announced on November 6. This will be followed by a mock auction on November 7 and 8 and thereafter the e-auction of 1,800 MHz band will take place on November 12.The start of e-auction of 800 MHz band (CDMA) will happen two days after close of the 1,800 MHz band (GSM) auction.The payment of the successful bid amount will have to be done within 10 days of the close of the respective e-auctions.